If summer is the time to lounge on the beach with a book that makes you laugh, I think of fall as the ideal season to curl up with a blanket, a toasty mug of something delicious, and a book that might just send a chill up your spine. 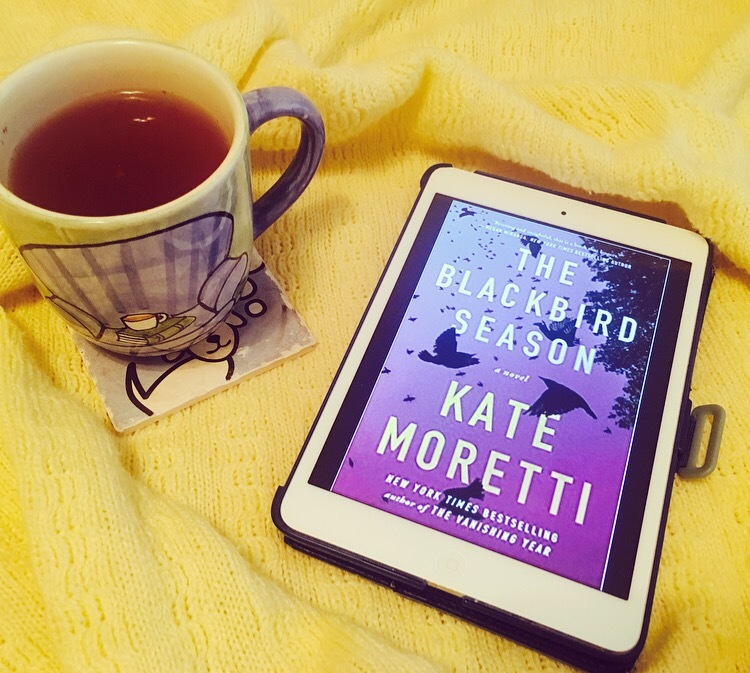 That’s why I love reading Daphne du Maurier every October, and why I absolutely gobbled up Kate Moretti’s complex new novel, The Blackbird Season. The Blackbird Season invites us into a small Pennsylvania town that’s been quietly dying since the closure of its paper mill ten years earlier, a town where nothing very noteworthy happens—until a thousand dead starlings fall onto the high school baseball field, the first in a series of shocking events that shake the community to its core. When beloved teacher and baseball coach Nate Winters is accused of having an affair with a troubled student, he quickly goes from hometown hero to public enemy number one; when the student, Lucia Hamm, then goes missing, Nate becomes the sole suspect. With his career, his marriage, and his future in jeopardy, Nate needs to prove his innocence, but his only ally is Lucia’s creative writing teacher, Bridget, who looks to the student’s journal for clues. Exploring the months surrounding the disappearance and told in shifting points of view, The Blackbird Season isn’t just about who did it, but the whats, the whys, the hows, and the psychological reverberation throughout the town. I loved it from start to finish. While it was the plot that hooked me, it was the complex characters that had me holding on tight until the very last page. We follow not only Nate’s transition from golden boy to pariah, but Bridget’s fight to find her place in a town where she remains an outsider, Nate’s wife Alicia’s harrowing inner turmoil as she struggles with who and what to believe, and Lucia’s angst-fueled life in the lead-up to her disappearance. The town itself is a scene-stealing character, too, with whispers and rumors adding layer upon layer of intrigue and conflict. Kate Moretti impeccably balances page-turning suspense with deep dives into the emotional weight behind domestic drama and the jungle of high school life. This was my first time reading one of her novels, and it certainly won’t be my last. I started this book with the intention of reading a chapter or two before getting on with my day, and ended up ignoring just about everything in my life and making every excuse necessary to stay put so I could see how everything would pan out. If you’re looking for a haunting, masterfully woven read that will keep you not just guessing, but feeling until the very end, grab a copy of The Blackbird Season. And grab a mug of something pumpkin-spiced to go with it. It’s fall! The Blackbird Season releases September 26th. For more on Kate Moretti, visit www.katemoretti.com and connect with her on Facebook, Twitter, and Instagram! You can also connect with Kate and her fellow Tall Poppy Writers in the Facebook group Bloom, one of my very favorite corners of the internet!